Are you stressed from work? Do you feel unfit? Do you want to be stronger, faster, and physically more coordinated? 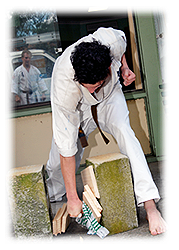 Kyokushin karate might just be the thing for you! Through our national and international affiliations, we also offer the opportunity to compete in tournaments (to practice what we learn) and training camps (to refine what we learn) both in Australia and overseas, where we get to meet, mingle, and share our abilities with martial artists of many other styles and cultures. 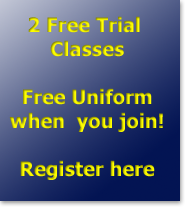 Call us (0414 777 251) or Contact us if you'd like to give it a go. The personal benefits are worth it!